We all spend a lot of time in the bathroom, so making sure it’s nicely decorated is a good move. One problem that many homeowners face is with decorating the relatively small wall space in the bathroom. 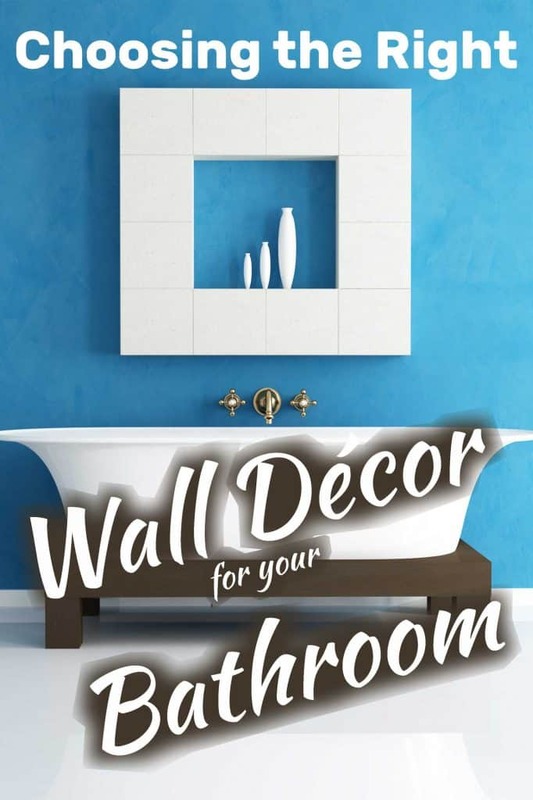 If you have not yet broached this subject, now is a good time to do so, as wall decorations can enhance the beauty and functionality of a refurbished bathroom. Even if you have not remodeled your bathroom, you can increase its flair while including the right wall décor in the space. Even a spacious bathroom is rarely very large. Floorplans usually call for relatively small bathrooms not only to save on space, but also to create a more intimate and private feeling. One of the essential requirements in any bathroom is great ventilation to counter humidity. Nonetheless, every time you take a shower, you’re bound to increase humidity levels in the room, even if only temporarily. This can affect your choice of wall decor. You may want to avoid using paper-based decorative items, for example, or any other items that will won’t tolerate dampness well. While this is true for walls in any room, it’s even more so in the small confinements of a bathroom. You can even add items that do not attach to the walls, such as suspended mirrors. As long as it covers the wall, you’re decorating the bathroom walls. 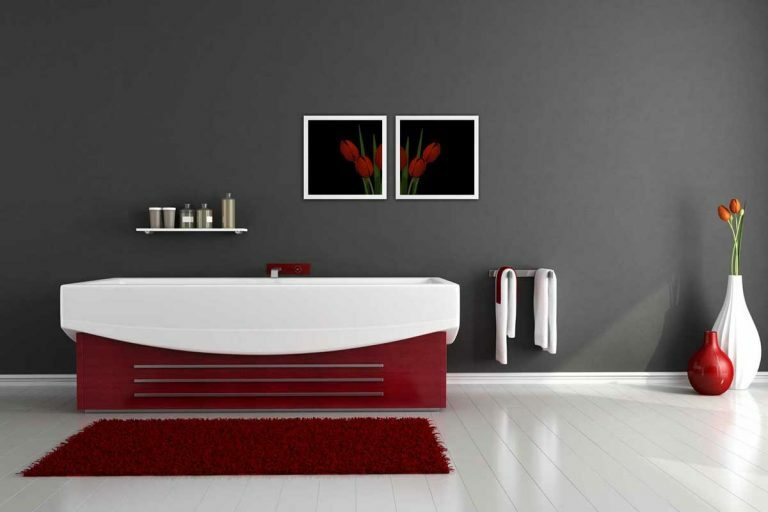 With that in mind, let’s take a quick look at the steps you should take to decorate your bathroom. Is your bathroom decor themed? First, are you trying to create a themed bathroom? If you do, you’ll need to match the wall decor to your theme. A favorite city such as Paris or New York. A specific animal such as a cat or horses, or possibly marine creatures such as starfish, seahorses or dolphins. A theme helps unify your interior design efforts and create a more harmonious looking room. 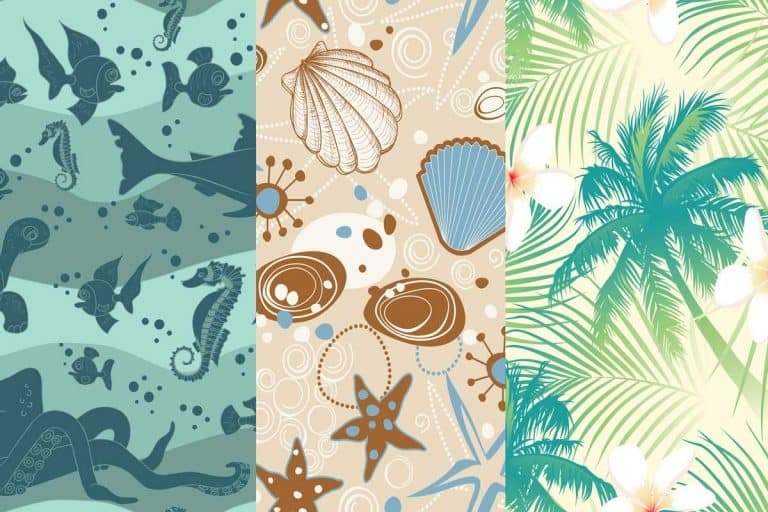 You can use your theme everywhere – on shower curtains, bathroom rugs, towels and yes – wall decor. Even if you don’t have a thematic “topic” for your decoration project, you probably have a color scheme or palette to work with. And if you don’t now would be a good time to think of one. Color schemes focus on creating a relaxed atmosphere by matching light or dark shades of the same color, or they can be used to generate the opposite effect. It’s perfectly ok to choose a palette of vibrant clashing colors, as long as you’re doing that on purpose. Even then, try to keep your wall decor in tune with your choice of color scheme. Decorating a small space, such as a bathroom, has its advantages. Wallpapering is usually expensive when you try to cover large walls. Not so in the smaller bathroom. You can take this opportunity to apply a bold-patterned wallpaper to an all-white bathroom. If you’re brave enough, why not pick a noticeable color, such as red or orange and a print that is equally as memorable, such as lobsters, or parrots! Thinking outside the box will make your bathroom a surprisingly fun room. Lighting is a great element in interior design and you can use that to show off your beautiful wall decor elements – or use lighting as a decorative element in its own right. That way, you can optimize the living space and enhance the looks of the walls at the same time. Look for light fixtures that are fixed on the wall itself, and choose the ones that best match your overall theme. Make sure they’re labeled as bathroom lights which means they’re safe to use in a wet room. Remember that bathrooms have mirrors, so take that into account when planning the layout of your lights. Any wall will look more dynamic when you include the right tiles. Instead of white tiles, why not think about adding some colorful tiles to spice up the looks of your bathroom? You don’t have to go crazy in this respect. If you’re using bold colors, you can limit them to only a few choice tiles in the overall design. You can give your small bathroom old world charm by adding cement textured tiles. Just make sure you buy bathroom tiles or protect them with a sealer so they do not suffer water damage. Consider painted tiles too. There is a huge selection of tiles you could choose from, but we love these “old world” tiles with a Tuscany feel to them – Painted ceramic tile. Mirrors make a great wall decor element. In the bathroom, they are practical as well as beautiful. Again, try to work with your theme. For example, if you’re going for a nautical theme for the bathroom, why not consider a rope-framed mirror? In the small confinements of a bathroom, you need to make clever use of space. Why not invest in shelves for your wall decor and make the most of both worlds – form AND functionality? Don’t forget you can decorate the wall space behind your shelves. It can bring out that area in a unique way. If you want to include some color and make your bathroom wall more interesting, apply some paint behind the shelving. This unexpected accent will give your bathroom a revitalized fresh look and update. Add a perfume collection on the shelf before the colored wall. You might also include toiletries or bathing salts. Think about including a glam tray to present your collections, which will also enhance the effect, instead of revealing a cluttered look. The wall décor you choose for your bathroom can also include the towel racks – functional and design-friendly accessories. They can all work wonders with bathroom walls, as long as you make sure to get items that can withstand the humidity levels of the wettest room in your home. Yes, you can get bathroom-proof wall stickers! And there’s no shortage of awesome whimsical designs to go along with any design style. For example this reminder from Mom. 3D stickers are all the rage now, and you can find versions that can be used in the bathroom too. Take these beautiful butterflies, for example. If you’re artistically inclined or can hire a painter, a mural can transform your bathroom into a one-of-a-kind creation. Can’t pain and worried about using adhesives in the bathroom? Then a poster or print would be a good choice for you. Make your walls come alive – literally! You might also think about adding greenery over the tub. 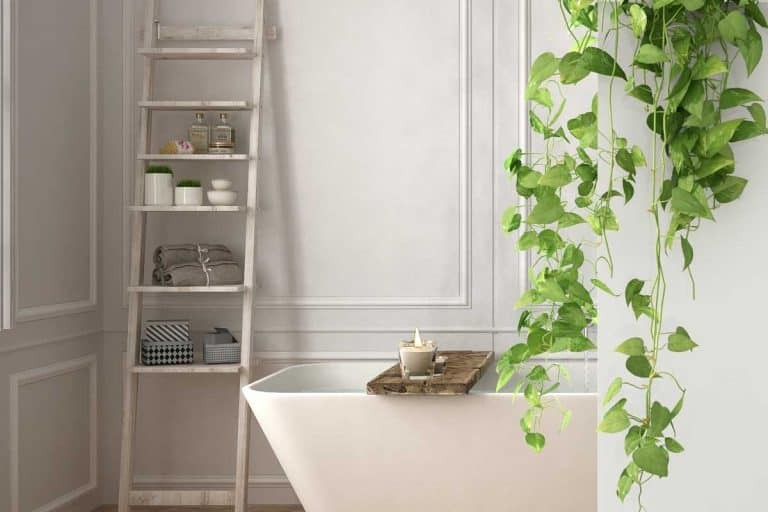 A splash of green in the form of a plant may make relaxing in the tub feel even more restful. If you do not have a green thumb, you may consider choosing a plant that loves moisture, such as a dracaena or a fern. If you do have a green thumb, go wild with a living wall in your bathroom! As you can see, you can find plenty of ways to enliven your bathroom walls. Whether you attach artworks or include mirrors, you can find plenty of ways to make your bathroom a special spa and sanctuary.